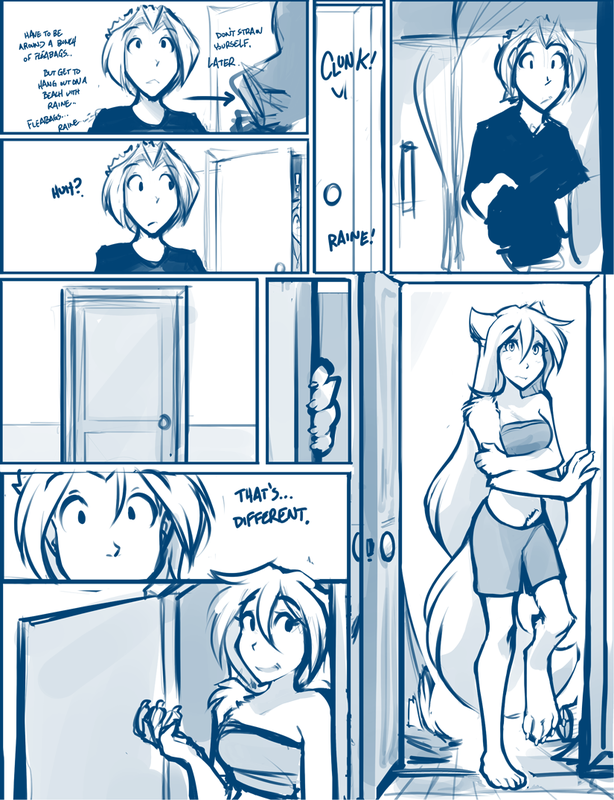 1060: Imbalanced - Twokinds - 15 Years on the Net! Maren: Don’t strain yourself. Later. 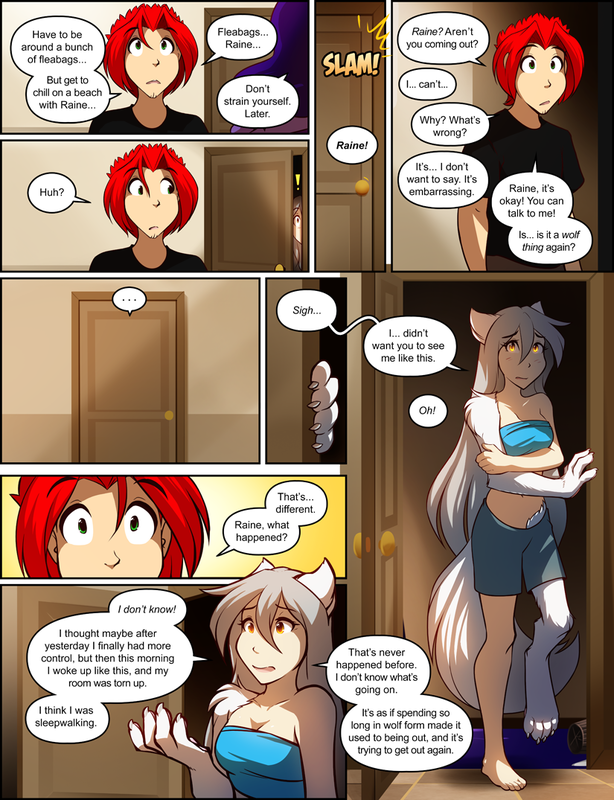 Red: Raine? Aren’t you coming out? Raine: It’s… I don’t want to say. It’s embarrassing. Red: Raine, it’s okay! You can talk to me! Is… is it a wolf thing again? Raine: Sigh… I… didn’t want you to see me like this. Red: That’s… different. Raine, what happened? Raine: I don’t know! I thought maybe after yesterday I finally had more control, but then this morning I woke up this way, and my room was a mess. I think I was sleepwalking. Raine: That’s never happened before. I don’t know what’s going on. It’s as if spending so long in wolf form made it used to being out, and it’s trying to get out again.